Expand your pasta repertoire with this curated collection of recipes from the acclaimed chefs at Franny's in Brooklyn. Each is a simple dish, suitable for weeknight cooking but approached in a way that uncovers a newfound depth of flavour. The Artisanal Kitchen cookbook series brings together great chefs and appealing subjects to add an easy level of pleasure and expertise to home cooking. 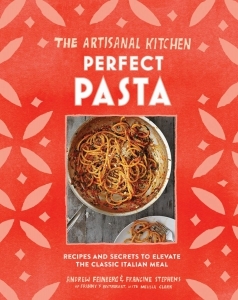 A new series of smart, small-format cookbooks from Artisan, with excellent, easy-to-make recipes by incredible chefs. 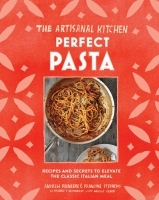 The first three books in the series highlight pasta, pizza, and vegetable dishes.